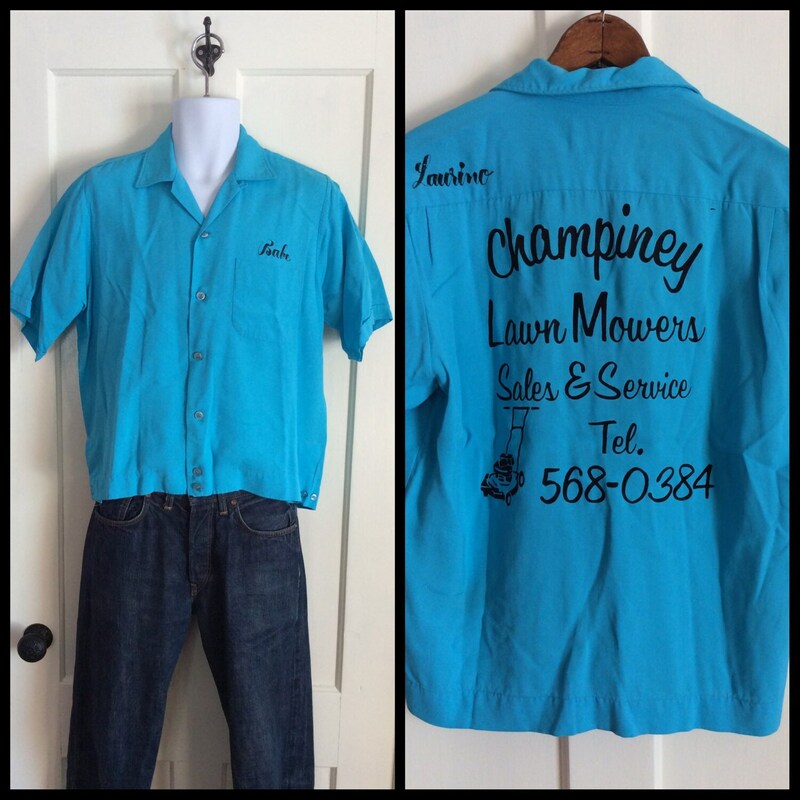 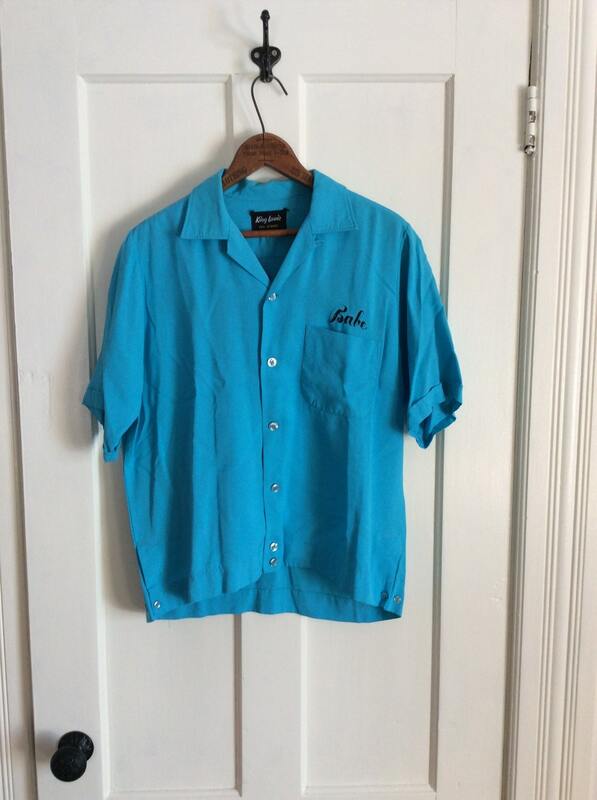 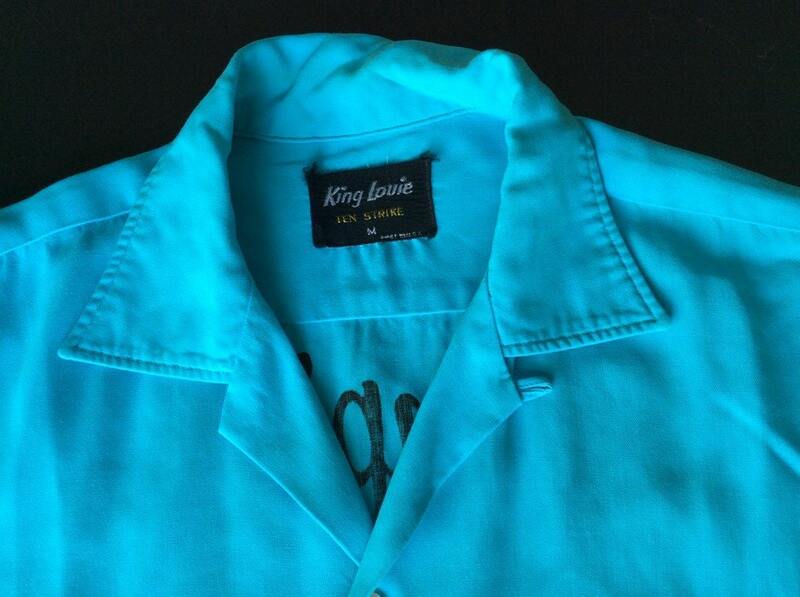 Here's a light blue rayon bowling shirt from the early 1960's. 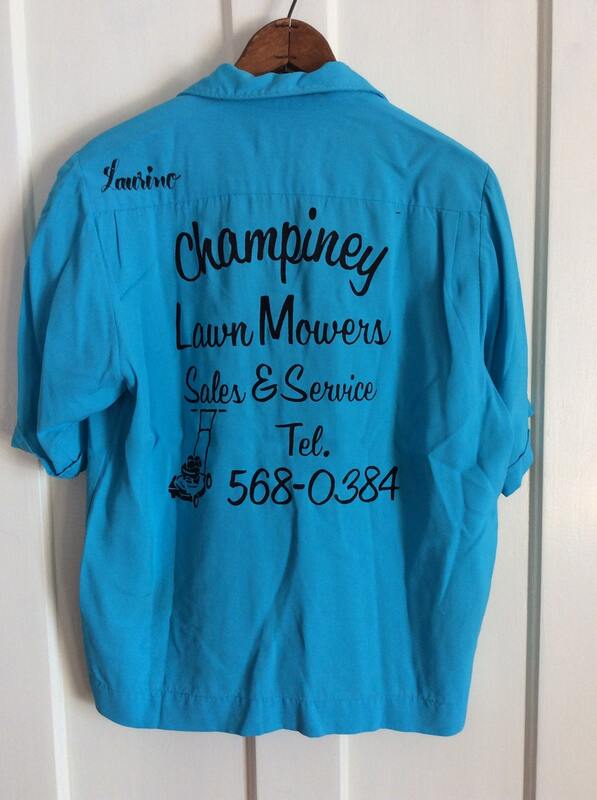 It has 'Babe' embroidered on the front, 'Laurino' embroidered on the back and a lawnmower company printed on the back. 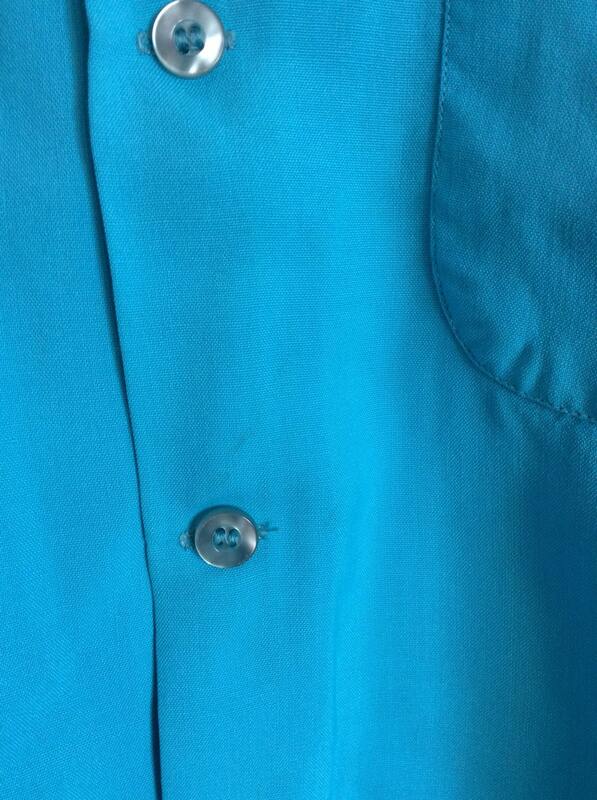 It has a very faint mark in front and slight discoloration inside the collar, otherwise it's in excellent, used condition.